I’m hard-hearted and almost as selfish as you but I have been moved to tears ! Congratulations, hope you’ll be extremely happy forever! What a wonderfully written post and such a surprise. Felicitations, congratulations and I hope you have many many years of selfish happiness together!!!!!!!! You look gorgeous. Many congratulations!!! Wow, so wonderful!!! Congratulations!!! As soon as I saw the Christmas-tree-photo-bomb, I thought – oh! They got married! Yaaay! And that cake is amazing. Seriously! Great job, Sister of Selfish! p.s. I’m gonna see if the ‘CAKE!’ demand works on my own hubby. You look absolutely stunning and perfectly you! Congratulations. It looks like you had a perfect day, thank you for sharing iwth us. Welcome back!! So nice to see a new post from you, and way to come back with a bang. Perfect dress for a wedding like this. You guys look very happy. Lookig forward to a more selfish 2013. Gorgeous dress for a fitting occasion. Woo-hoo! Congratulations! And a beautiful dress. As always your sewing skills are amazing. I wish you hapiness in your marriage forever! Congratulations! The dress looks perfect, as do the pictures of the day. Congratulations!! Your dress is beautiful, and that cake is so pretty. I hope you get some more selfish sewing done in 2013. This is my new favorite blog, you look fabulous, congratulations, you are a sewing ninja and I am in awe that you would even try to make your own wedding dress. And I am jealous that my own sister never tried to make me a cake. Ok she was the flower girl in my wedding but hey. I just tried the “CAKE, SPOUSE” thing and it did not work. I’m jealous. What a wonderful post! You look gorgeous, Dan looks gorgeous, the cake looks gorgeous. Great way to move into 2013. What a great excuse to make a dress! I send felicitations to you both and I wish you many years of happiness! Welcome back! A fab surprise to come upon your update in my blogfeed. Hopefully you will get more sewing time in 2013. Congratulations! You are beautiful in your lovely dress. The cake is awesome, too. That dress is to die for, and congratulations on acquiring your very own cake slave for life!! BTW, was the dress stiffener applied like horsehair braid to the hem? Congratulations! Love the dress! I had a white suit when I got married, thinking that I wanted something I could wear again. Not that it’s been worn since. Where does one wear a white suit? But I can see this dress with a pair of black pumps and a few accessories and not looking bridal at all. Mazel Tov and welcome back! You have been missed! Congratulations. I wondered what had happened to your prolific blog, now I know. Many, many happy years to you both! Congratulations!!!! Beautiful dress. We missed you. Selfishly. I’ve been waiting for this post ever since you told us you were getting married. Congratulations and thanks for catching us up! Congratulations and best wishes for a very happy marriage (cake-feeding to order has to help?) Everyone loves your posts so may I selfishly suggest more in 2013? Congratulations to you both! The dress is lovely & suits you perfectly. Congratulations! If I thought I had any chance of succes, I’d steal both dress and wedding, as it seems like the informal, wonderful party you had was filled with love and laughter. Congratulations! You are missed!! Lovely dress! Oh my, you are hysterical! Thanks for the laughs, and you and your dress are enchanting!! Welcome back and heartfelt congratulations! Your dress is beautiful and you both look so radiant. Congratulations!!! Your wonderful story make me smile! You look beautiful in your wedding dress, I love the cake too. SUPER. Congratulations on your wedding and the beautiful, well-executed, last minute dress! You are a fetching couple and you do need to make your sister a dress after she made you that cake. I think you owe her one for that one. Here’s to more sewing in 2013! More selfish sewing, anyways. For both of us. I have been sewing way to much for my own offspring. I think mama needs a few new things, too. Ah, yes, the very sneaky ‘holiday symbol’ photo bombers… always around and about. I love your dress!! Actually, you are a very lucky Selfish One because if it was even in the neighborhood of fitting me, I would have been there in a flash (with or without Dan and his magic cake fork). However, NOW I will be on the eagle-eyed lookout for the pattern. I think it would look wonderful in almost anything – lightweight wool, brocade, jacquard, anything with some good body. Congratulations! That is such a beautiful dress, I’m so impressed. Congrats and WTH*! Why did we have to wait so long for a new post! Soooo selfish! Every bit of this post is awesome. I think the very best seamstresses in the world are those who sew their own wedding dresses. So there you go. Best wishes to you! Hope to see you more in 2013! I wish you a very happy and very long ownership, enough of that &§! (%$¨ planned obsolescence already! Congratulations!!! 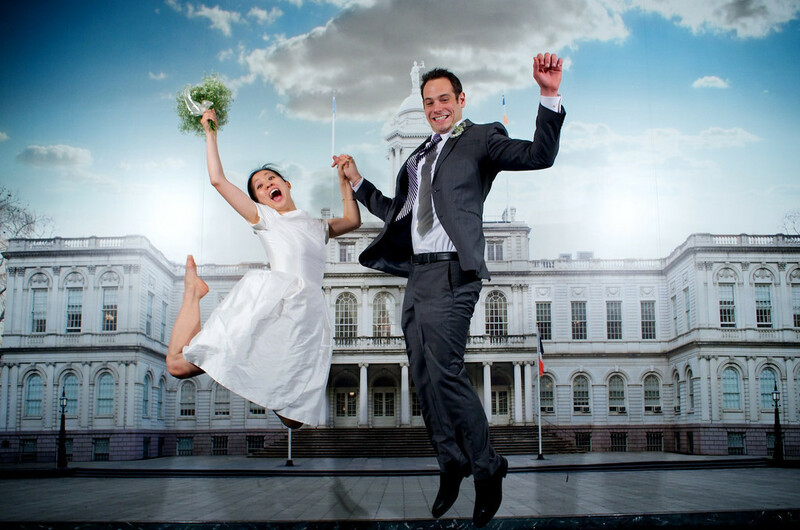 LOVE this picture of you and Dan jumping in front of “City Hall.” Your jumping pose is very similar to your profile pic! First of all, no one could ever steal your thunder! I’m so happy for all of us who have been dutifully checking our email for an update from the Selfish Seamstress, and at last it has come with wonderful news and pictures! Congratulations! For being a simple and hastly executed wedding, everything looked beautiful, from the dress to the cake. And I missed reading your posts and your wonderful sense of humor. Congratulations!! Your dress is beautiful, and all the photos are great– what a treat to get to see them. As for how to edit the bust when you are taking out several inches, if you have any chance to take a class w/ Cynthia Guffey and learn her techniques for how to fit a pattern, she is (to my mind) the best thing to happen to pattern fitting ever. She also teaches corrections for upper back curve and shoulder slope, and both of those adjustments go a long way toward fixing those bubbles of fabric in the front of the armscye that you mention. Congratulations! The dress is perfect, the cake is superb. 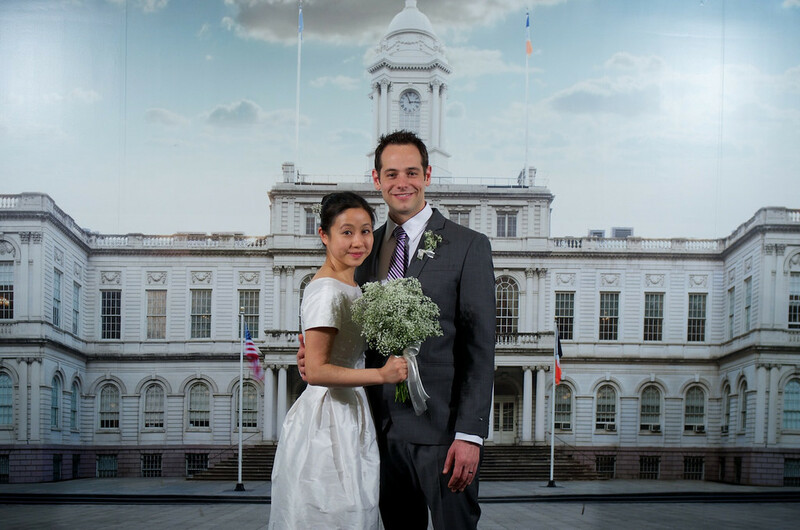 Congratulations, Elaine and Dan! It looks like it was such a cozy and fun event. Your dress and the cake were both beautiful. 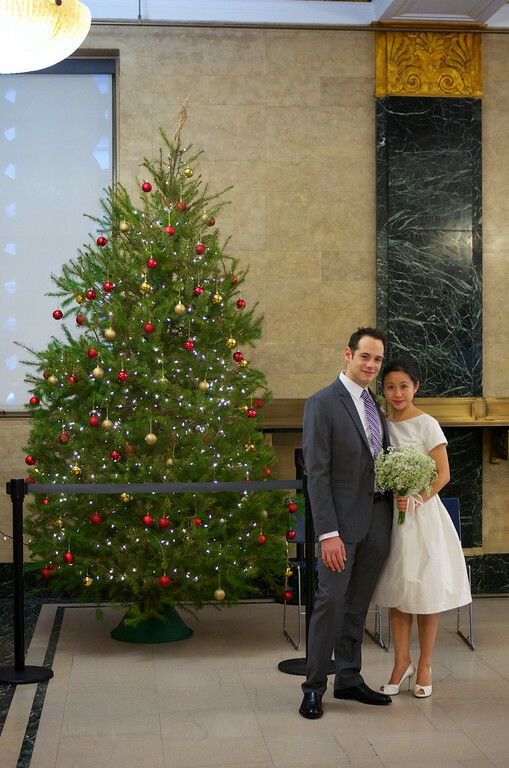 I was so excited to see a post from you on my reader this morning, and then to discover that not only did you make that gorgeous dress, but you also got married in it! Yay you!!! Congratulations on both accounts. Looks like the perfect wedding – and that cake is stunning too! Perfection! I am really looking forward to see what you are making for your sis, it sounds amazing. From the comments above and the fact that so many people missed you, I think it’s time for you to finally get busy sewing and blogging again. Or is that just me being selfish? Glad to hear from you again, you looked beautiful! Beautiful dress, beautiful cake, beautiful you! Congratulations! Congratulations. So great to hear from you. May you have many wonderful years of Dan ownership and lots of time to sew (for yourself, of course)! Congratulations Selfish!! Your dress is beautiful (of course, but you knew that!) What a treat to see your post in my reader this morning. I hope you can sew and post more this year!! congratulations! Wishing you a lifetime of happiness with Dan. Congratulations! The dress was PERFECT…and so was the story! What a delightful post! Congratulations! Your wedding was beautiful and you dress is lovely on you. Thaks so much for posting, it’s good to hear from you again! Congratulations! And you look great on your day! Congratulations! And the dress is perfect for your low key wedding. You both look so happy. Hope to hear more this year, you are one of my favorite bloggers. Congrats on your happy event. And I think your dress turned out beautifully. I also am trying to build a wardrobe for myself (so kind of selfish), BUT this christmas I made pajamas for all of my family. And they seemed to like them, so loved it! Congratulations! Nice dress and wedding! Congratulations! What wonderful news. That really seems to be the perfect wedding dress, it looks lovely on you. Just lovely. Love the dress and I agree, a perfect dress for the occasion. Congrats! Wishing you both a long and happy marriage m’dears, plus here’s hoping that 2013 brings you much serenity with shed loads of selfish sewing :)!! Congratulations on the marriage! Also, this was a wonderful, beautiful, hilarious post. You’ve been missed! This blog post was well worth the wait! What a beautiful way to end the year.You and the dress are both stunning. Much happiness and lots of sewing time in 2013. Oh, congratulations! and best wishes to you and your Dan, for a long and happy married life together! You and he look radiant, the cake is magnificent, and your nephew is too adorable for words. And she is back! Would you have us believe that Peter’s post on lost bloggers finally smoked you out? Love the dress and congrats. Congratulations on your new possession! ;) It’s smart to take legal steps to make sure you never lose somebody who will feed you cake, they are hard to find. I’m very glad you have blogged again (no pressure if you get busy again of course) I really enjoyed reading this, and the dress is simply beautiful on you. Mazel tov! Great dress, great post … much happiness to you both. Amazing cake, too! mmmm, choc! welcome back and congratulations! Your blogging has been missed and your selfish sewing of course! Congratulations! Here’s to many years of selfish bliss! You are a lovely Bride- and still hilarious after all of these long months without a “Selfish” post! Perfect Dan, perfect dress, and you made me laugh out loud in a public place, choking on my venti iced tea over your expected “Daily Cake Service”. Congratulations! The dress turned out wonderfully. Thanks for sharing. You look so beautiful! What a nice dress. Actually reminds me a lot of my own self-made wedding dress. I made Vogue 8615 without the front seam in ivory silk dupioni. Also boat neck and tea-length. We too opted for a low- key affair and your pictures bring back so many memories.. Anyway, you looked really nice..and happy! How wonderful to hear from you. Congratulations to you and Dan, I wish you both a wonderful life together. The dress? Perfect for the occasion, you looked gorgeous. 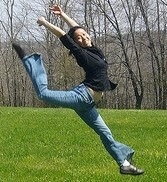 It’s great to see you leaping for joy along with your new husband! The dress is fabulous and so is the cake your sister made! Please share the dress you made for the ungrateful baby! Congratulations! Love your dress! Now, if my Chosen One actually agrees that getting married is a wonderful idea, maybe I’ll just sew the dress myself despite it being regarded as bad luck. (At least in Norway folklore it is. But then, I’m not superstituous.) Don’t really know you, but I can pretend I do by reading your hilarious blog. Cheers from a fellow academic. Congratulations on your wedding! And I have to say, I’m so glad to see you posting something again! May the wonderful Dan continue to feed you cake for many years to come. Congratulations, and the dress is just perfect. Ohhhh Selfish! You have been much missed, but congratulations!! the butterick 9927 is a LOVELY pattern! and the cake looks fantabulicious! Truly happy for you! Congrats! 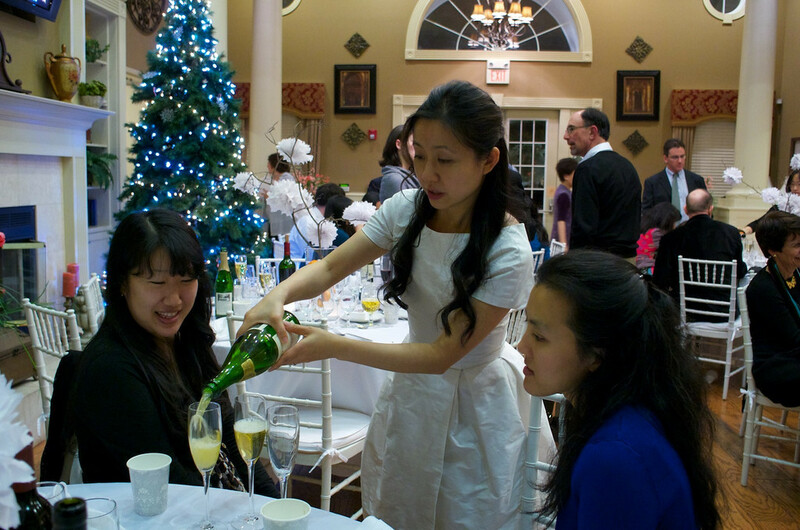 I hope that the only reason that you were unselfishly pouring drinks for others was so that they could toast and lavish praise on you and your beautiful dress! Oh my, how lovely! 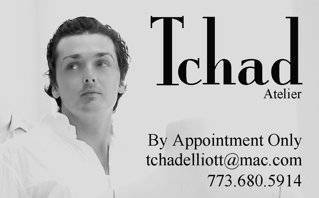 Congratulations/Mazel Tov to you both. You look lovely in your dress, but more importantly, you look happy. That’s the best thing for a wedding day. and welcome back. Some of us may be even more selfish than you, with our constant harping and whining over your disappearance and failure to feed OUR needs, although you are at a level of selfishness to which most can only aspire and dream. Congratulations on your permanent capture of the elusive and rare whipper-upper/feeder. May the future bring you every happiness – and of course bring the rest of us more Selfish!!! be still my heart – you pulled off the.perfect.wedding! The dress is wonderful. Of course, i am also happy for Dan that he got to marry you and continue to serve. thanks for sharing your dress!! We have missed you! Glad to see that you (and Dan) are still alive and happy. Beautiful dress, handsome husband, yummy cake. Your 2013 is off to a good start. Please blog more you selfish thing! Oh I am glad you are back! I suppose I can forgive your for not posting considering you got MARRIED!! Congratulations! The dress is beautiful on you! Congratulations! I wish you much happiness. Your dress is so beautiful and so are you! AS IF a giant Christmas tree (albeit a beautiful one or a candle stick) could steal your thunder even when you are not getting married!! Congratulations. 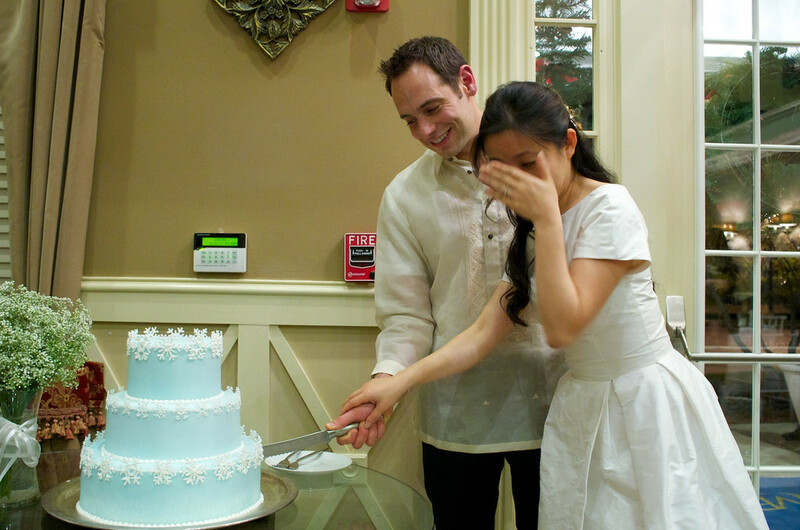 A beautiful dress, a beautiful couple, an amazing cake and a wonderful surprise. Hope we see more of you in 2013! Congratulations! Welcome back! Your gown is gorgeous. The world has righted itself – Selfish is baaaacccckkkkkk! 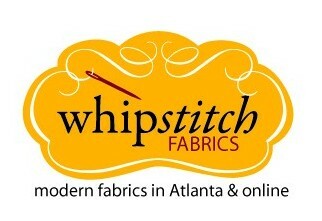 Congrats on taking rightful possession and here’s to lots of sewing (and blogging) in 2013! Congratulations, best wishes to you both ! WELCOME BACK! and CONGRATULATIONS!…I KNEW there had to be a reason you weren’t posting; I am glad it was a HAPPY one! And, that cake sounds scrumptious! (mmm, mocha!) it’s perfectly understandable that you’d want to keep someone who hand-feeds you cake around! Congratulations! I hope you’ll both be very happy. Terrific to see you back blogging and sewing! Congratulations! Lovely, lovely dress. I think your sewing blog was one of the first I ever started reading but I haven’t commented before. It’s nice to see another post! I had a simple, hastily executed wedding this year too and it was the best decision we could have made. Best wishes for your marriage! Wow! Congratulations! You look lovely, and that is a truly beautiful cake! Congratulations!!! You made a beautiful Bride!!! The dress was almost as adorable as you and your new hubbie are. Best Wishes on your new life as husband and wife. Congratulations! You and Dan are such a lovely couple. All happiness to you both. Congratulations on finally making Dan an honest man! Happy to see that you’re blogging again too! Your wedding photos are so lovely. You did an amazing job on the dress – it’s divine, as is the cake your sister made for you. Many well wishes to you and Dan and many thanks for sharing a bit of your special day with us! Filled with smiles here to see you posting again. Your dress was perfect for you. Gorgeous. Stunning. The best things are made at the last minute. Congratulations on dictating selfish as an artform and may you have many years of selfish anniversaries ahead of you. Selfishly, I’m glad your back. :) Congratulations on everything and hope you have lots of projects to post about this year. Congratulations on your marriage! You look beautiful and very, very happy. Your sister is also very talented! Congratulations! Your dress is absolutely beautiful. As was the cake. I hope you have many selfish and happy years to come! What a gorgeous dress – perfect for the day, I can almost hear it rustling! And a beautiful cake – wow! Congratulations! Congratulations to you and best wishes to Dan! As mentioned above, we’ve been waiting for this particular post for…years. Beautiful dress. Fun celebration. Thanks for sharing! Were you just visiting the States, or here to stay? 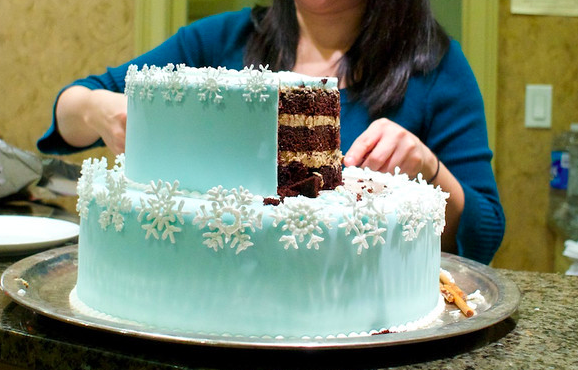 There you are, selfishly going on about your wedding — when my goodness, look at that cake!! OMG!! CAKE!! Wow. May your years together pass selfishly in peace and prosperity. And, wonderful dress — I appreciated the technical details and all the action shots. A lovely interpretation of the dress. Congratulations on your marriage! Your dress is wonderful, I love how it is a wedding dress, but not a very typical wedding dress. I’m amazed by how fast you sew! Congratulations! Many blessings on you and Dan’s new life! Congratulations! Wishing you a wonderful marriage! Congratulations!! I love your wedding dress. IT looks gorgeous on you…what a beautiful wedding! Let there be a million yrs of selfishness together! Congrats! Your dress is beautiful and I always look forward to your posts, they crack me up. Well, obvious you’ve made several people happy. Dan (a lucky guy), your sister (beautiful dress-to-be), your adoring fans (who’ve missed you so much) and then You. You look so very happy. This is all out of character but you’ll be forgiven this lapse. You’ll be back to your selfish self soon, I’m sure. Many congratulations, such a beautiful dress! And the cake was magnificent. Congratulations!! I am very happy for you and Dan. Best wishes to you and “DAN!”. That cake was incredible! Please consider sewing a snowflake into your sister’s dress. So good to read your blog again! Congrats – you look great and so happy. Awww! A guy who whips up cake on demand and feeds it to you is well worth claiming ownership on :-). You look fabulous, and as you mention a comfortable wedding dress is such a rare thing that it’s worth celebrating in and of itself. Mazeltov! Oh man, you’re back! 2013 is going to be an awesome year in sewing! Congratulations on your newest acquisition! Congratulations on your wedding and also the so very beautiful dress. And I do agree,your sister deserves a dress in exchange for the lovely cake! So nice to read your blog. Absolutely stunning! I really wish I’d been sewing when I got married, now! Congratulations on your wedding, and I hope that your sister doesn’t do to her wedding dress what you did to your cake! Congratulations to you and Dan. I’m so happy to hear from you and obviously I’m not the only one! Ahhh I’ve missed you! Congratulations on taking legal possession of your fella, and I hope you’re able to be more selfish with your time and sew more in 2013. Cheers!! oh thank god you’re back! congrats on your wedding! :) Very pretty dress! Congratulations!! I have been missing your blog, but so happy to hear the good news! You looked absolutely beautiful in your dress and it is nice to see that you are blogging again. You truly have a gift and I love seeing the outfits you make –very inspiring. Thrilled to see you back and with a beautiful dress for a wonderful occasion. I laughed out loud when you mentioned embryo. And of Dan always feeding you cake. Congratulations! Congratulations! Dress and whole affair look lovely! Wish you every happiness! Also looking forward to photos of your sister’s dress. Congratulations! Both you and the dress look perfect! Looks like everyone else in the WORLD beat me to commenting, but this is awesome! And I’m so intrigued to see your bodice alterations on the kimono sleeve (got any pics?). I am making a kimono sleeve bodice and I couldn’t find anything on bust adjustments. So I just made it up. lol. I felt so teary when I saw the wedding photos . Congratulations to you both – you make such a lovely couple. WELCOME BACK !!!!!!!!!!!!!! Fabulous dress! Congratulations on the groom and the gown(isn)! Congratulations! I’m always amazed at how young you two are, you look barely old enough to be married! I just finished reading my 1961 Better Homes & Garden Sewing Book and what you did with your dress is called “mounting” a skirt with organza. Their example was also a tulip-shaped skirt. It’s a great book, I highly recommend it for anyone making vintage party dresses. Congratulations! And may you have many years of selfish happiness! Love the dress, love the cake. I have missed you so very much! Extremely selfish myself. I am so happy for you and your ownership of Dan. I think you are an incredible woman, seamstress, and writer. I look forward to future posts. Glad you had the balls to whip up a dress. I had the pattern for a Vogue evening dress for my Florida wedding on the beach, and I chickened out and bought a strapless dress from Craigslist. The silk I ordered for the Vogue pattern was too sheer, and I should have gone with chiffon instead of georgette. I’m going to finish it and dye it the color of the water in Key West. I am so glad you put your selfishness away for the moment and shared your beautiful wedding pictures with us! I have a smile on my face whenever I read your blog. Do hope you’ll give us more-more-more in ’13. You are so entertaining and inspiring! Ellen. “Mutton dressed as a fetus” is my new favorite expression. Congratulations to you and Dan! It looks like a beautiful, perfect wedding that is about being married to each other. 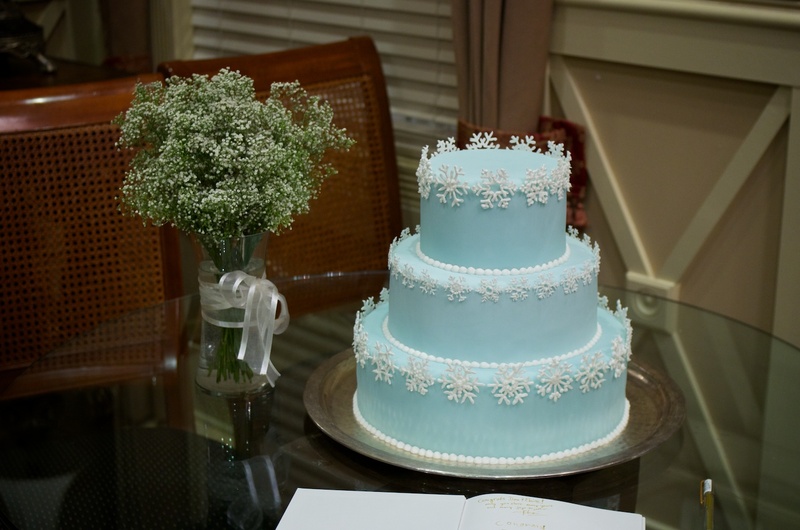 That cake is completely gorgeous–I love the Tiffany blue color! Oh right, and the dress is sensational too. I am jealous that you can carry off a boatneck. My neck is so short that I look like a head on a platter in a boatneck. But it’s such an elegant, classic look. Beautiful dress, I can’t believe you made it 6 days before your wedding! wow! It suits you perfectly. And that cake looks gorgeous too (plus looked very yummy). Oooh, Selfish!! You are beautiful in the vintage dress!! It reminds me of the dresses my sister wore back in the fifties/sixties. Congratulations to you and Dan. Looks like a lovely wedding, the kind with little stress and lots of love. The dress is perfect for you and the occasion, good choice! 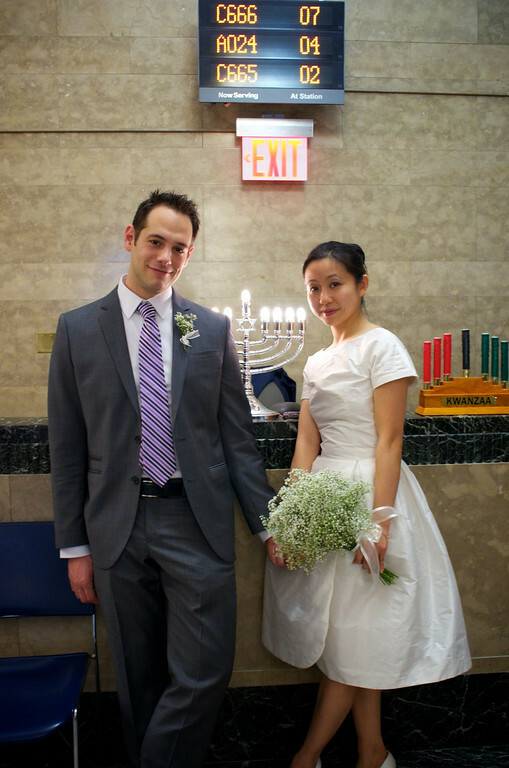 Mazel Tov, lots of happiness in your future, and so glad you’re back to blogging; we missed you. Congratulations! I hope you & Dan have many, many wonderful years together! Oh and the dress is pretty awesome, too! Congratulations!! and you are back!! I haven’t checked back here in a few weeks (probably since Dan-is that his name? at malepatternboldness called you out as missing), but wanted to reference your online fabric shopping experience. Congratulations on the wedding and we all hope to be hearing more from you in 2013. Oh Selfish, on a whim I hit the bookmark to see if you were back, all the while thinking that you wouldn’t be, because of your selfish nature. What a pleasant surprise!! Congratulations and thanks for sharing with us. Be, careful, unselfish behavior could lead to other things! I unselfishly hope you have lots of time to sew and share this year! Oh I’m so glad you’re back! I discovered your blog just about a month before your last post and during your blogging break I went back and read all your old posts. 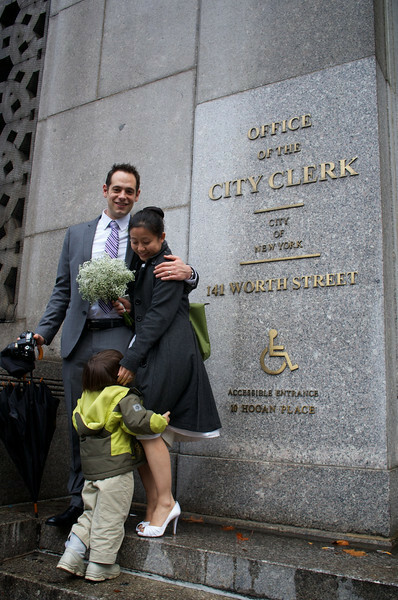 Congratulations on your marriage (I work in the same building as the NYC marriage license bureau and am sad I so closely missed seeing your beautiful dress in person). I can’t wait to see what you make next! Congratulations! :) Love the dress, and that cake is making me hungry. Your sneaky, stealthy, sweet and soft-hearted sharing of your most special dress and day is so “Selfish” of you! Much happiness to you and Dan. Congratulations! I’m so happy that you posted again—I’ve missed your wit and sewing expertise! The very best to you both. congratulations! and finally you are back. the selfish seamstress was definitely missed! Thank you for sharing your lovely wedding photos. I’ve missed your humor — to hell with the clothes — though they are very lovely too. 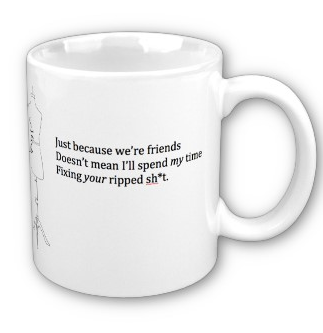 I hope you have more time for writing and sewing in 2013. Impressive number of messages when you consider the lengh of time you had not been posting for. Obviously we were all missing you so much! Congratulations, and all the very best to you and Dan. Be very very happy (and selfish as long as it makes you happy!). Bonne Annee 2013 ! Congratulations, you looked beautiful in your dress, and you both look very happy. Best wishes for happily ever after! Your dress is lovely and you look fabulously happy; thanks for sharing your special day. I had just found your blog when you vanished; I selfishly hope you’re back for good! In drsperation I thought I would just read your first posts and surprise, here you are again. I second the comment that the world has righted itself and all the other comments as well and a jumpy photo to boot! Beautiful dress & beautiful bride. Congratulations and best wishes for the future. Your dress was beautiful and you looked lovely in it. Congratulations on your new ownership. Look forward to seeing your sister’s wedding dress! Congratulations!! How exciting! I love low-key much more than over the top! Good luck…yup, you don’t know me! I loved how your teaser re your project filled a critical gap in your wardrobe…and as I scrolled down…christmas tree! and then…wedding looking couple. Best wishes to you two. Congratulations!!! Glad you finally have some legal right to that cute man;-) I’m sure you remember me from NYC…Metro Textiles!!! Wow, congratulations! Really enjoyed meeting the two of you in Metro Textiles last Summer!!! So happy for you and stay selfish in 2013 too! What a happy surprise…congratulations on your wedding and your beautiful dress! Congratulations on your wedding and your gorgeous wedding dress and amazing cake! Cheers to 2013! Congratulations to you and Dan. You, your dress and cake are beautiful! Congratulations. The dress is beautiful. May you have many, many wonderful years together filled with nothing but happiness and sewing. Is that a barong Dan’s wearing?! You look just gorgeous here, congrats on the nuptials! You are alive! And married! Rather unselfish of you to make me this happy. Congratulations from a total stranger yet a big fan. what can i say that hasn’t been said? may dan feed you cakes your sister bakes for many, many years!!! CONGRATULATIONS! Don’t know how I missed this for nearly three weeks, but I was so glad to read it. Congratulations and best wishes! What a beautiful dress — and a beautiful, not-at-all-embryo-like bride. congratulations! your wedding looks lovely. Loving the dress. I can’t believe you knocked it up with so little time before the wedding. Courageous! I am getting married next year and am already planning the dress. Congrats again! Fantastic! My, how the blogoshpere has missed you! Fabulous dress, awesome groom and gorgeous looking cake!! My goodness, Selfish! What a wonderfully selfish thing to do: make a dress for yourself and legally posess your man. Good for you! 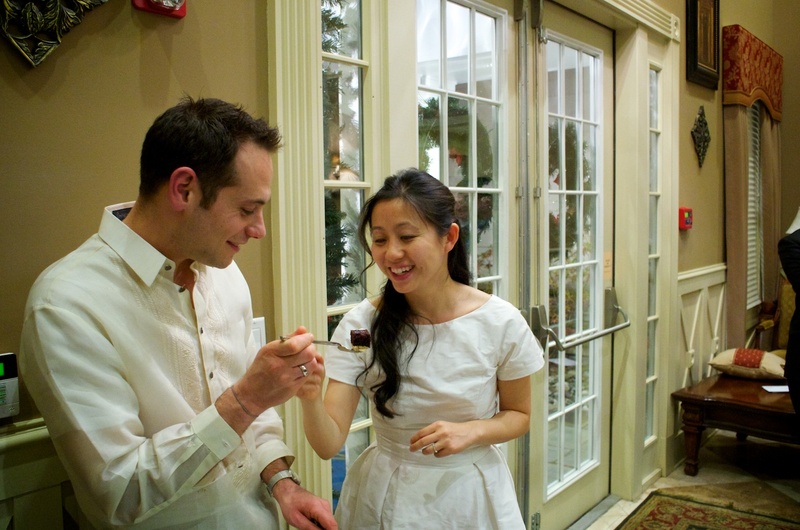 I just found this post and chuckled: I made my wedding dress and got married on December 31–more than a decade ago. I wish you the best because you (two) clearly deserve it/each other (insert chuckle.) And may you have many more sewing projects to come…. All the best, in every way. You look wonderful! Congratulations!!! We have missed you so! 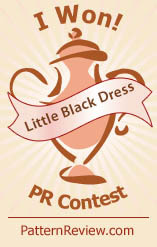 Congratulations-that dress is beautiful on you and I love your hair down like that. Bestest wishes and many hugs to both of you (Yea I read the part about no hugs but these are exceptional circumstances for crying out loud). I have been thinking about your wedding for weeks. Your dress was so totally appropriate for a wintertime event, no bland strapless column- just lovely! You looked beautiful. Congratulations on your originality and style, and best wishes for a wonderful married life! Congratulations! Your dress is awesome and the cake was so so beautiful. Best wishes! Wow, you looked absolutely stunning! Congratulations!! A hearty congratulations to taking legal possession of your very own cake-providing Dan! What a beautiful dress! I wish you much health and prosperity together! Ah! I just realized you’re blogging again. I was following you and lost track for a bit. But big CONGRATS! Love the dress! Congratulations (a bit late)! I love your dress! I got married in January too (10 years ago)! What a beautiful bride you are! I just found your blog and am loving it! You are one talented lady! I have really missed your blog. I just found it again. So selfishly happy for me, yes. But also very happy for you and Dan. “Wow! Hurray! It’s STILL Dan!” Congratulations to the both of you! 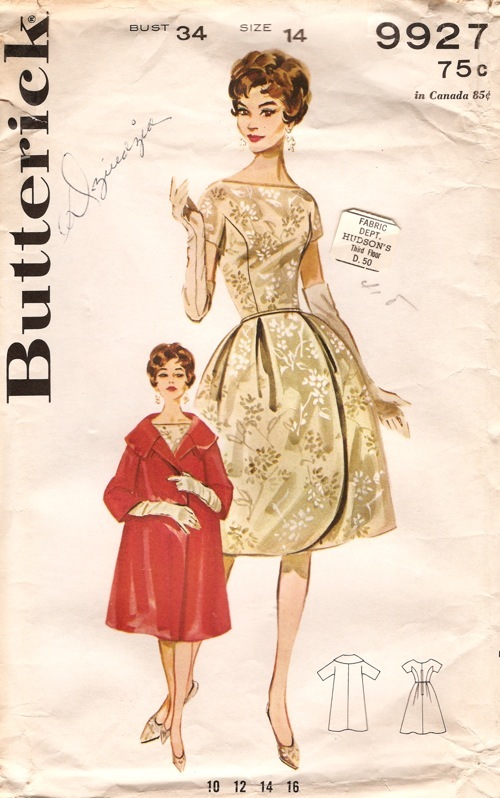 I realized that, unlike Vogue, almost all the Advance, Butterick and Simplicity patterns do not have instruction for lining. That, to me, indicates that anyone who picked up their patterns to make a dress must have some intermediate knowledge and experience in sewing. Hope you’re well…the blogosphere misses you. Only just found your blog, and I love it. Congrats on your marriage, that wedding dress is amazing. I hope your finding time for sewing, if not the blogging. Cheers!